Good morning Dies R Us fans. Today's card was inspired by a trip to Florida that we took a number of years ago where I had brought home some beach sand, starfish and shells. I put them into a mason jar and set a votive candle on top and gifted it to my daughter. It was a fun way to make a pretty memento of our trip and it was functional as well. 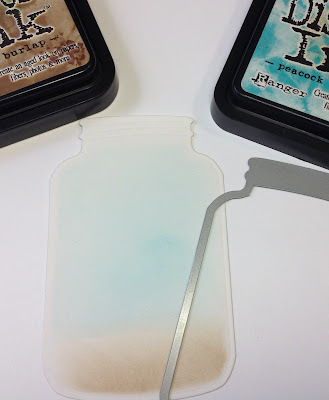 I started by cutting the largest jar from the Poppystamps Jar Collection and blending in some color while it was still in the die. This gives the jar a clean border and adds definition to the jar. 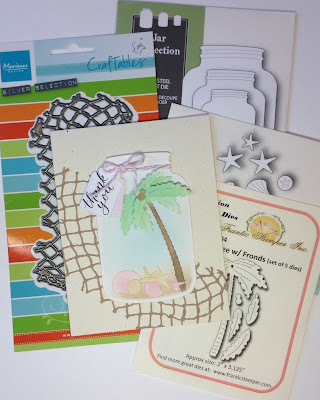 I cut the Frantic Stamp Tall Palm Tree with Fronds and the Memory Box Seaside Treasures out of Elizabeth Craft Designs White Soft Finish Cardstock and added color using distress inks and a blending tool. 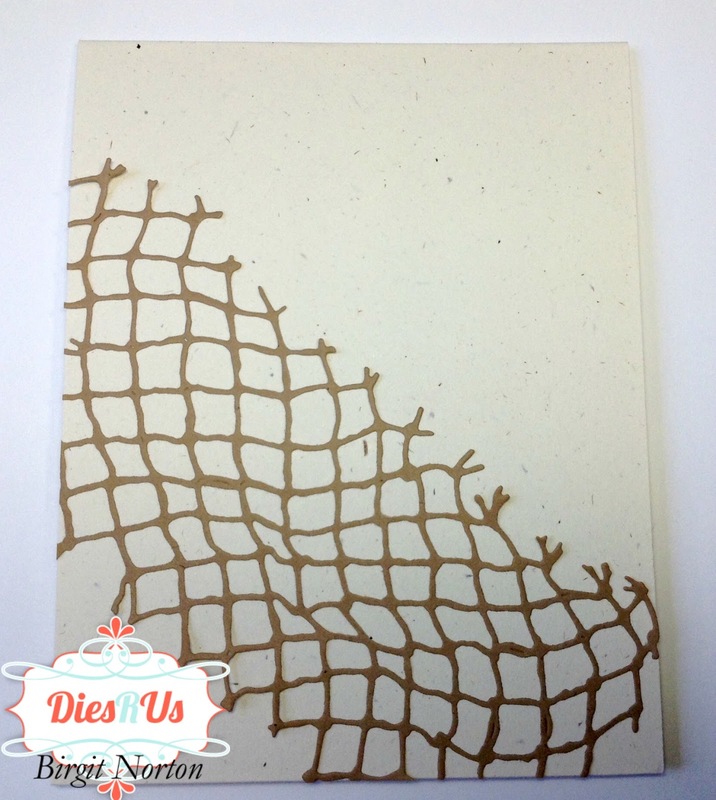 If you haven't tried using the Soft Finish Cardstock yet, you really must. 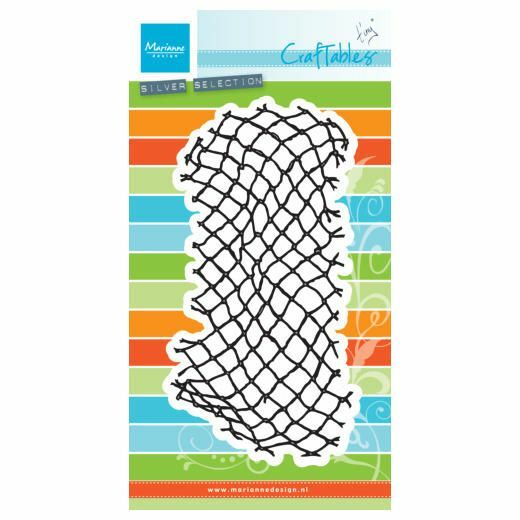 The colors blend so smooth and easy and I love the texture! I wish you could see it in the photo. 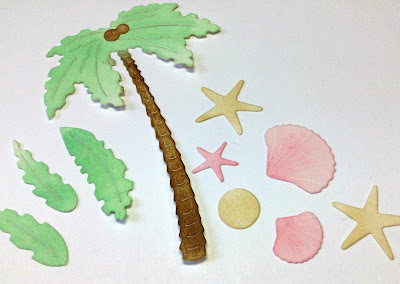 Once the pieces were all colored, I assembled the contents inside the jar, popping a couple of the palm tree fronds up using foam squares for added dimension. 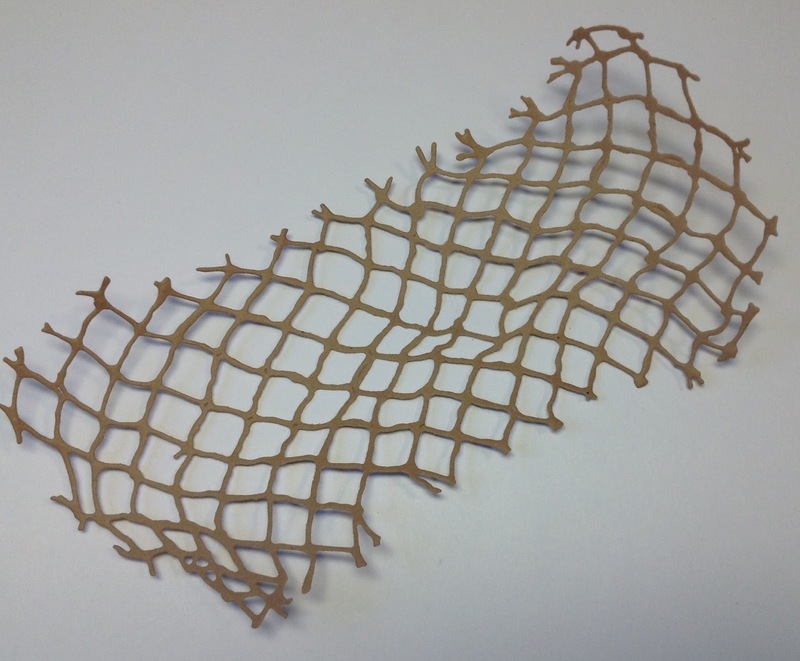 I cut the Marianne Designs Fishing Net out of kraft and adhered it to an A2 card front and trimmed the edges. 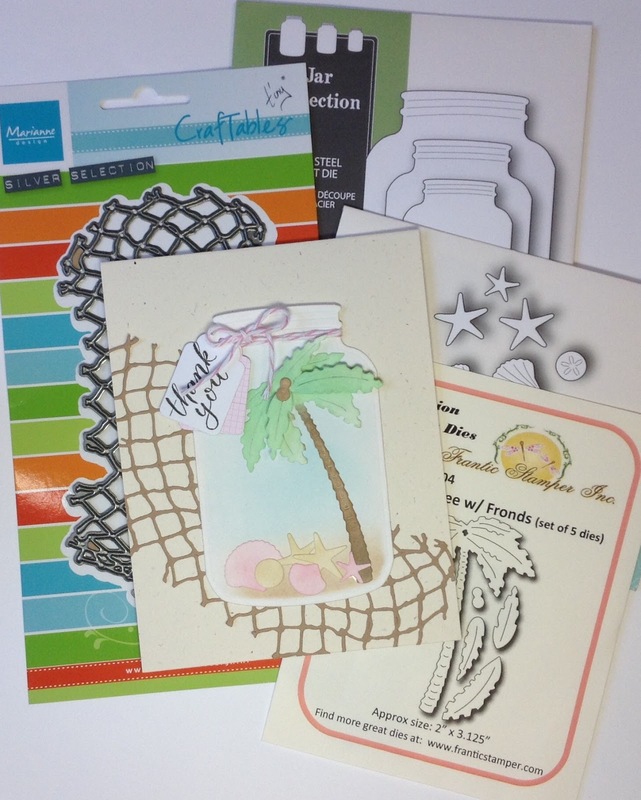 The Marianne Designs dies are offered up as special order dies through Dies R Us a few times a year. If you sign up for their newsletter, you'll be the first to be notified about these special order events. You can get many European dies at a great price! Once the card was assembled, I added a layered tag and some bakers twine to finish it off. 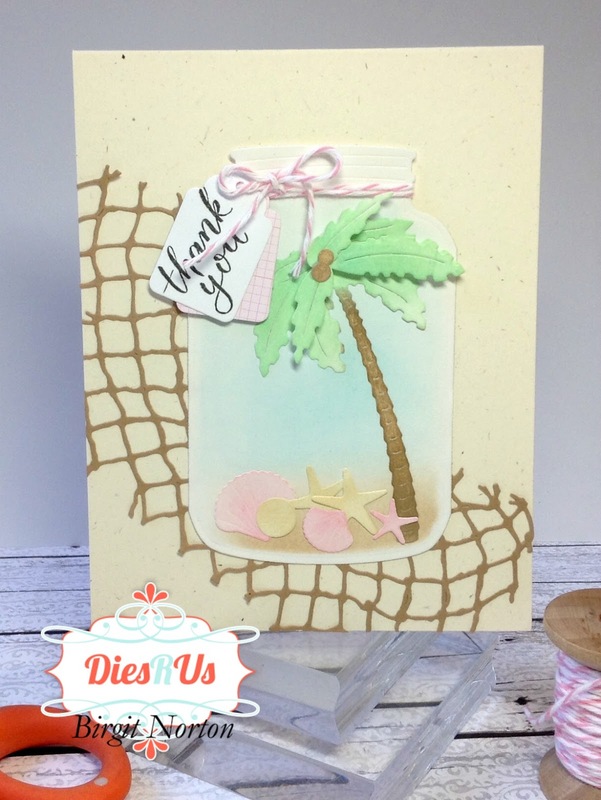 What a fun way to say "thanks" to someone special and preserve those precious summer memories! What a fantastic way to say THANKS in a special way. Bringing back memories of a special time. Like saving time in a bottle. What a fun and creative thank you! 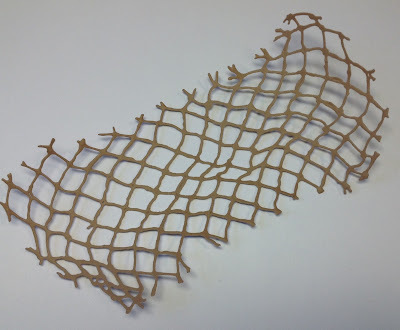 Great use of dies ... thanks for inspiration! 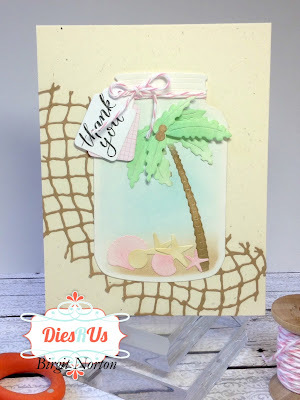 Such a lovely and summery project. 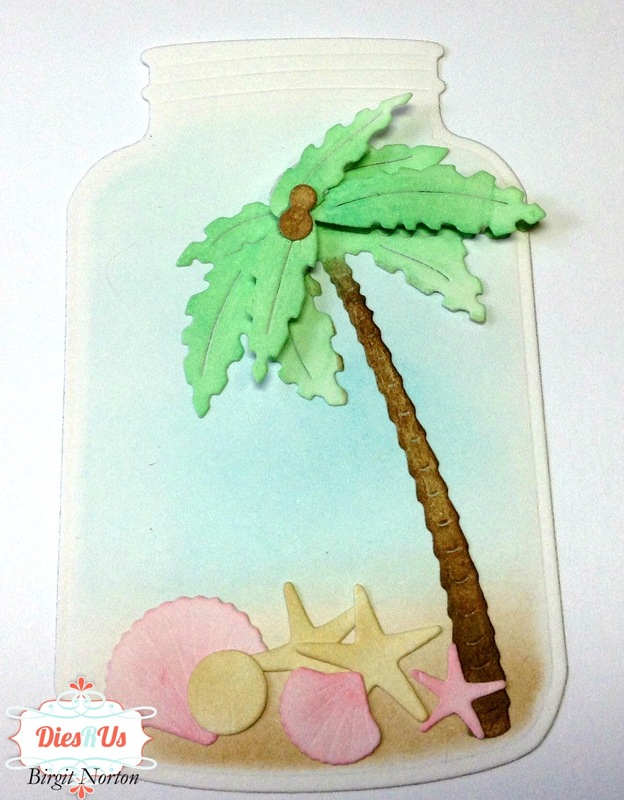 Love the beach theme. Awesome, Birgit! 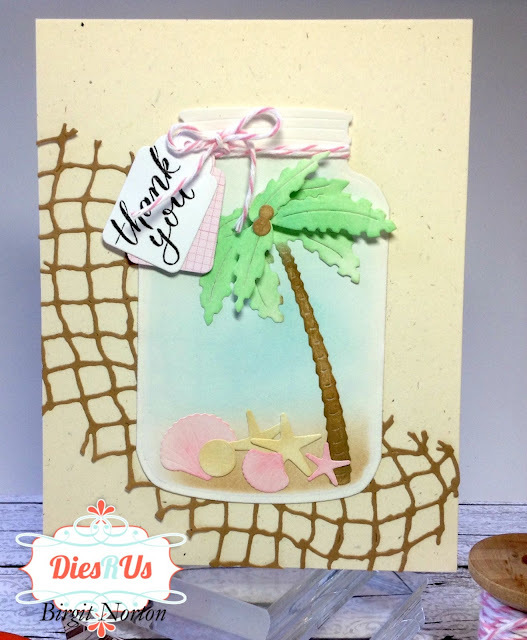 I love the "beach in a jar" scene. I would never have thought to do something like this. Awesomecard , love your design !